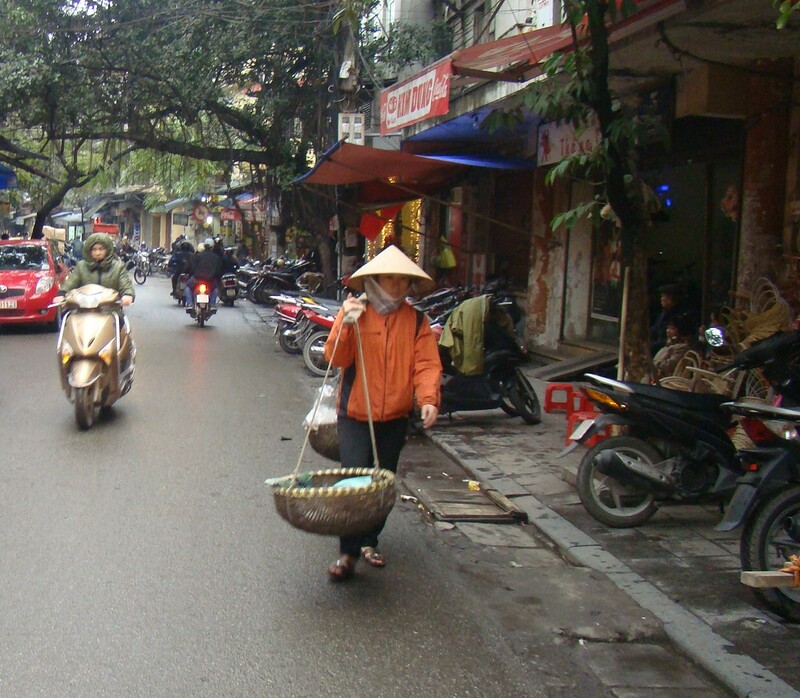 If Hanoi is a nice juicy watermelon, it’s the Old Quarter which gives it that mouth drooling, lip smacking, tongue tingling sweetness that makes you want to go there repeatedly. And in the Old Quarter, the Night Market is the Ultimate Experience - for the shopaholic a high; for the shopaphobe great fun! Open in the evenings over the weekend near Đồng Xuân market, the Night Market stretches from Hang Dao off the northern end of the Hoan Kiem Lake right through till Dong Xuan (Don’t worry about the names – most hotels will give you a map showing the streets of the Old Quarter – and its surprisingly easy to navigate). Everyone’s wrapped in leggings and jackets and earmuffs and caps to stave off the stiff, chilly, cutting January wind. And in the mad bustle you bang into people, apologise, smile, buy a purse, move ahead, sidestep, get dazzled by the lights, pick up a suit, a jacket, a pair of shoes, a sweater, night suits, a bucketful of souvenirs you never intended to buy and an assortment of gifts for people who you never intended to give gifts to. It’s great fun really. The vitality, the energy, the bursting of commerce in the market whips you to go after the goodies and forget you’re supposed to be on a budget. And food joints like Com Pho Co are never far away. The price: Magically changes to suit your quote! The experience: Matches the magic of any bazaar, souk, market anywhere in the world. So if you’re in Hanoi, definitely make time for the Night Market.